Perlick's proprietary RAPIDcool forced-air refrigeration system pulls down product temperature twice as fast as any other brand in the industry. 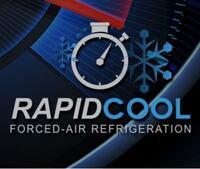 RAPIDcool also provides unmatched temperature consistency - an absolute must for food safety. 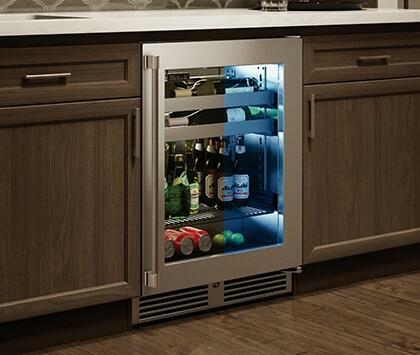 Perlick undercounter refrigeration is built to the same exacting standards demanded by commercial bars and restaurants with a refined look, perfect for any living space. 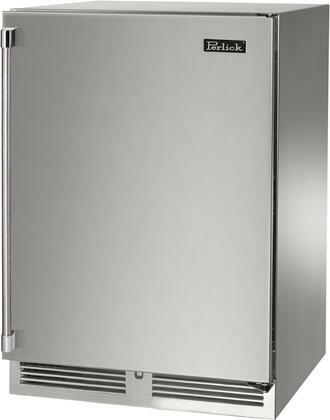 Sleek stainless steel interiors and exteriors are not only beautiful, they are durable, sanitary, and resistant to stains and odors, and two-inch thick foamed-in-place insulated walls provide industry leading protection against external ambient and vibration. No detail goes unnoticed - every Perlick is built with the highest level of craftsmanship in mind. 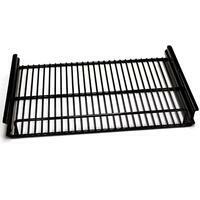 All Perlick undercounter shelves are full extension, pulling completely out of the cabinet for easy stocking and retrieving of product. 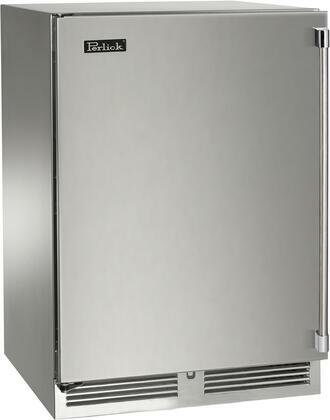 Shelving is black vinyl-dipped to provide additional vibration protection, and shelving glides smoothly in and out of the cabinet on stainless steel ball bearing glides. 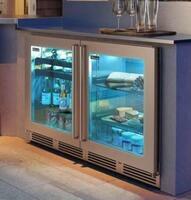 Product is brightly illuminated by adjustable Crisp White and Cool Blue LED lighting. 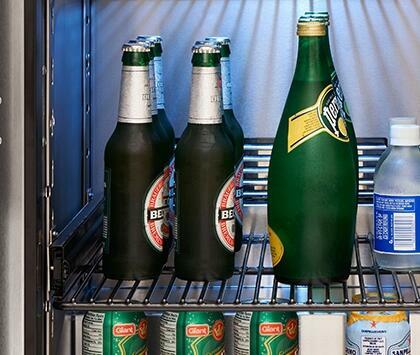 See everything in your refrigerator clearly. 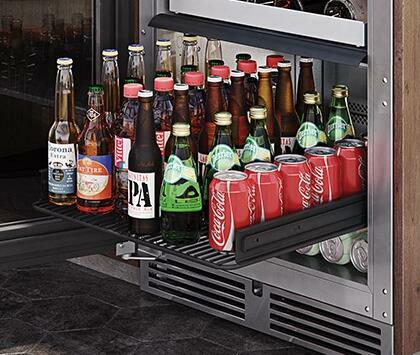 Reach your food and drinks easily with the industry exclusive full-extension pull-out shelves. 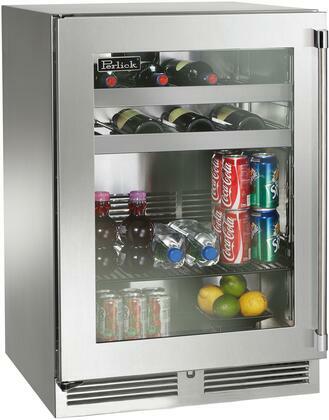 Commercial-grade stainless steel interior provides durability. 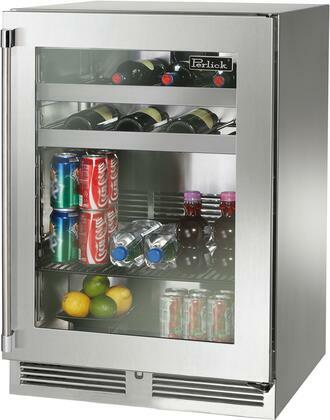 The elegant look of the outside continues to the inside of the cabinet for a sanitary, aesthetic design.